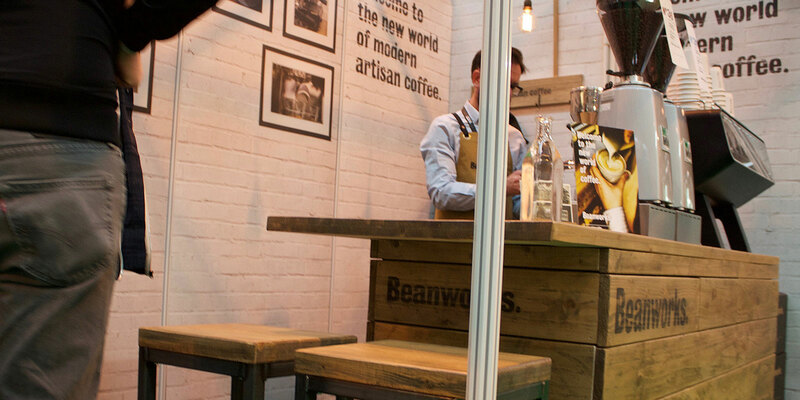 Over the past few months we’ve had the pleasure of working with Beanworks, a modern artisan coffee brand. 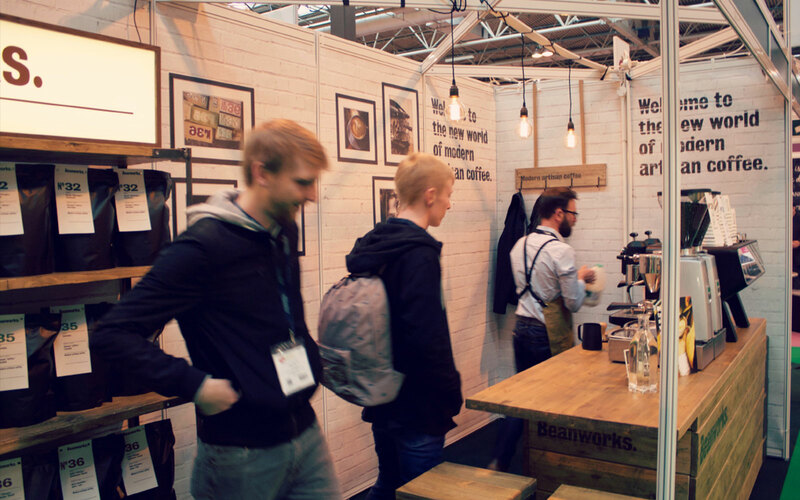 They didn’t feel that their current setup appropriately reflected the tone of their brand, and so we were tasked with exhibition design for their trade show display space. 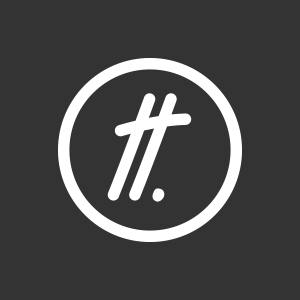 The brief was to develop a new space with the look and feel of an artisan coffee shop. 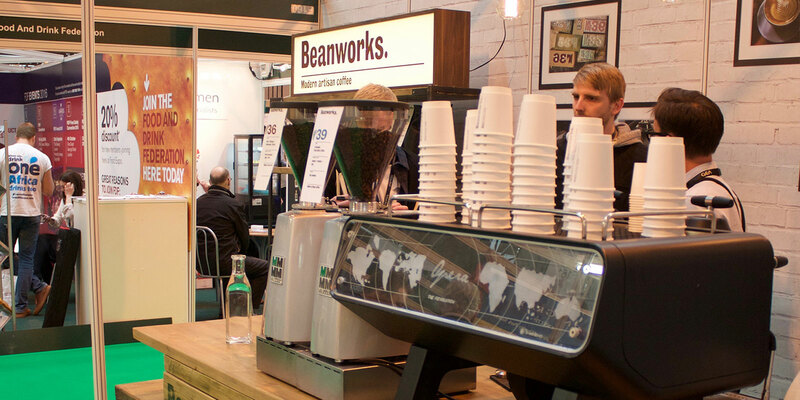 The stand was to contain a 2m espresso bar for demoing machinery and to allow potential customers to try the various coffee blends. For this we explored possible options, and settled on a reclaimed wooden cladding look for the sides and a solid wooden work surface. 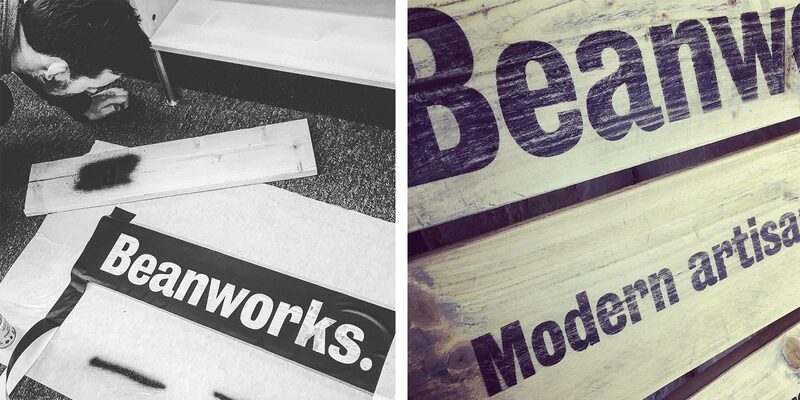 The cladding was branded with the Beanworks typography and given a faux aged finish, in keeping with the materials used to craft it. We also created a faux brick wallpaper for the partition panels, which featured more faux aged typography and some photography which gives a behind the scenes look to the brand and products. The main focal point was to be an industrial lightbox which was produced by Goodwin & Goodwin. This sits at the top of their coffee shelving unit and draws people into the space. We also took care of the printed collateral including takeaway postcards and strut cards for countertops.